This month heralds the start of autumn. Although the days may be getting shorter and temperatures cooler, there is still plenty of interest in the garden, with hints of autumn colour to come. Here are a list of jobs to do this month. Start clearing autumn debris to prevent pests and diseases overwintering. Finish feeding trees and shrubs in containers so that they don’t push on new growth vulnerable to frost. Leave the heads on mophead or lacecap hydrangeas (H. macrophylla cultivars) after flowering, as old blooms offer winter frost protection to tender new buds below them. Instead, prune early to mid-spring. Start planting new trees, shrubs, climbers and perennials. Begin dividing overgrown perennials. 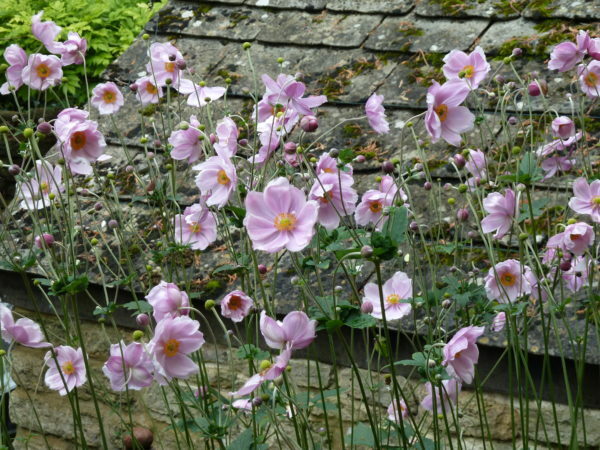 To stop beds getting too full, divide established summer-flowering herbaceous perennials. If your soil is heavy or wet over winter, or if you grow tender plants, delay until spring. Control powdery mildew by removing and destroying infected leaves and watering regularly to reduce stress, before considering fungicide. 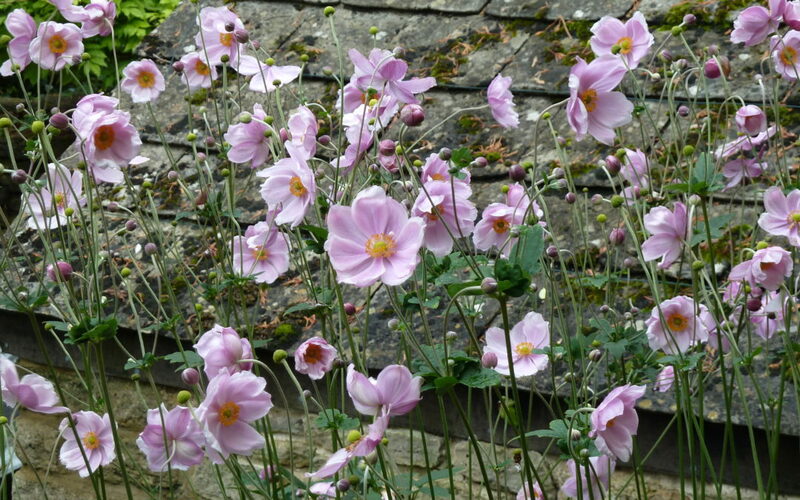 Help your hanging baskets flower into mid-autumn with regular deadheading, watering and feeding. Once plants have gone over, replant with winter/spring bedding, low-growing spring bulbs and small evergreens. Continue to feed and deadhead summer bedding plants. Well tendered, they can give good displays until the frosts. Plant spring-flowering bulbs such as crocus, daffodils, hyacinths and muscari, but plant tulips in November to reduce problems with tulip fire. Lift tender plants and bring them under cover, or take cuttings. Plant up containers with spring bedding. Scarify and aerate established lawns. 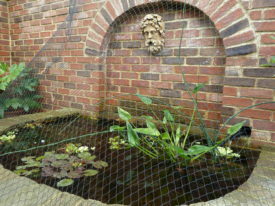 Net ponds to keep out autumn leaves. Harvest marrow, pumpkins, and winter squash before frosts and once the skins are evenly coloured. Cure in a warm place for 7-10 days before storing at 10-15’C in a well-ventilated room. Lift maincrop potatoes as soon as they mature, as slug damage will get worse the longer the tubers stay in the soil. Tip-prune shoots on gooseberries and blackcurrants affected by American gooseberry mildew. Clear up fallen leaves to help control the disease. Continue to harvest apples and pears, and pick autumn-fruiting raspberries. Fruited canes of autumn cultivars are best left unpruned until February. Reduce watering and ventilation in the greenhouse. Last chance to; force hyacinths for christmas, plant onion sets, plant new strawberry plants and sow spring cabbage. How can you help wildlife? Help hedgehogs, reach hibernation weight by providing wet cat food or dog food or a hedgehog food. Leave some windfall apples and pears on the ground as food for garden birds. Remove some leaf litter from ponds to prevent a build-up of silt and deoxygenation of the water. Leave some as fallen leaves provide habitat and food for pond invertebrates.